Just (barely) in time for the holidays, the market is now fully stocked, including our own brand of Sichuan peppercorns, Sichuan chili peppers and ground chilies. We've worked for months to import the freshest, most interesting and robust spices, and the first shipment has finally arrived direct from Chengdu. The 2017 harvest packs a punch and smells divine, and we can't wait to share it with you. 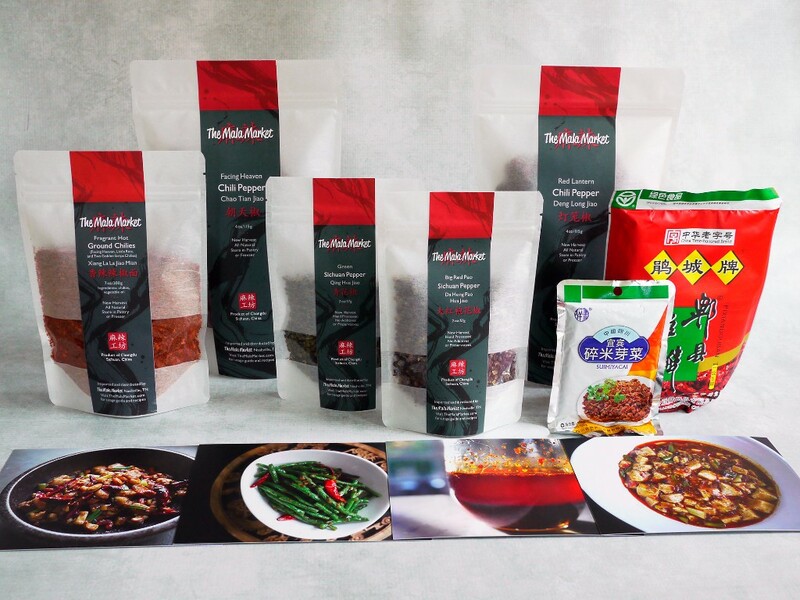 Our Mala Pantry Collections, which come with beautifully printed recipe cards for classic Sichuan dishes, would make a great holiday gift for yourself or the mala-lover in your life. Combine a Mala Collection with our Umami Collection and you've got a full Sichuan pantry. Throw in a mala apron and people with think you've been cooking Sichuan food for ages (and many of you have). Thank you for your patience as we have transitioned to our own spice line, which will continue to grow in the coming months. We hope to see you soon at the market and blog, as well as on Facebook and Instagram. 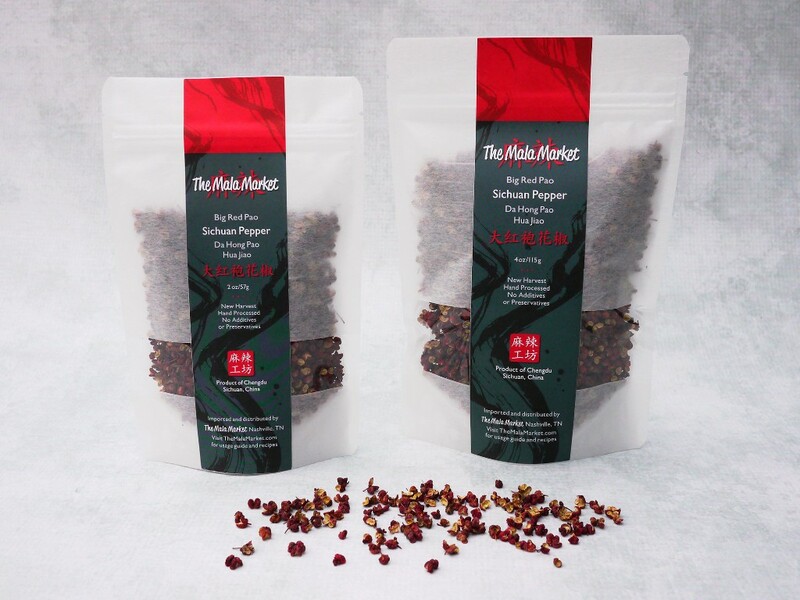 We now offer our premium red and green Sichuan peppercorns in 2 ounce (1 cup) and 4 ounce (2 cup) sizes. Fresh and fragrant, these 2017 harvest peppercorns are particularly potent and numbing. 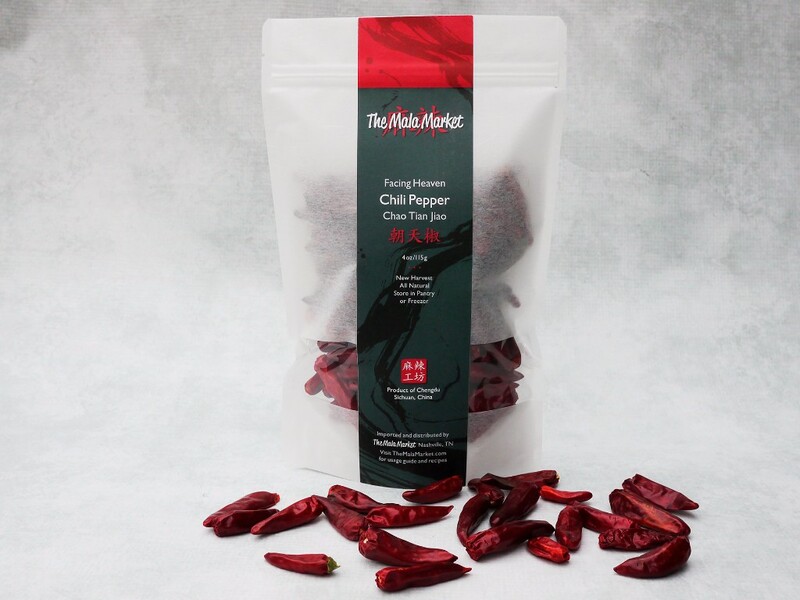 We're launching our chili pepper line with two popular Sichuan chilies. Facing heaven (chao tian) peppers are the chili of choice for most Sichuan recipes, while red lantern chilies, which are round and fat, bring a visual wow factor to dishes like dry pot and Chongqing chicken. Unlike supermarket chilies, these are fresh, soft and fragrant. 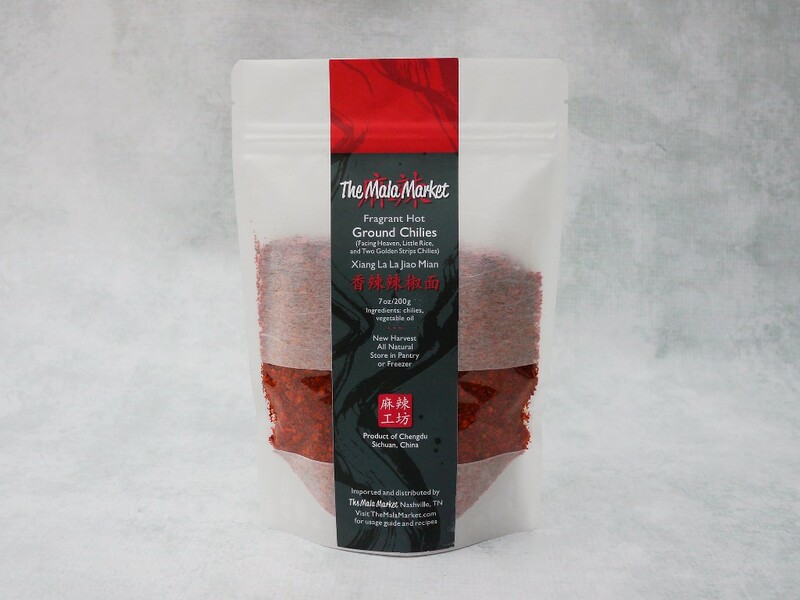 These fragrant-hot ground chilies are a mix of facing heaven chilies for color, er jin tiao chilies for fragrance, and little rice chilies for heat. The whole peppers are quickly fried in vegetable oil (as is the norm in Sichuan) and ground to include flakes and powder, making them ideal for chili oil or for addition to Sichuan dishes such as hot pot. 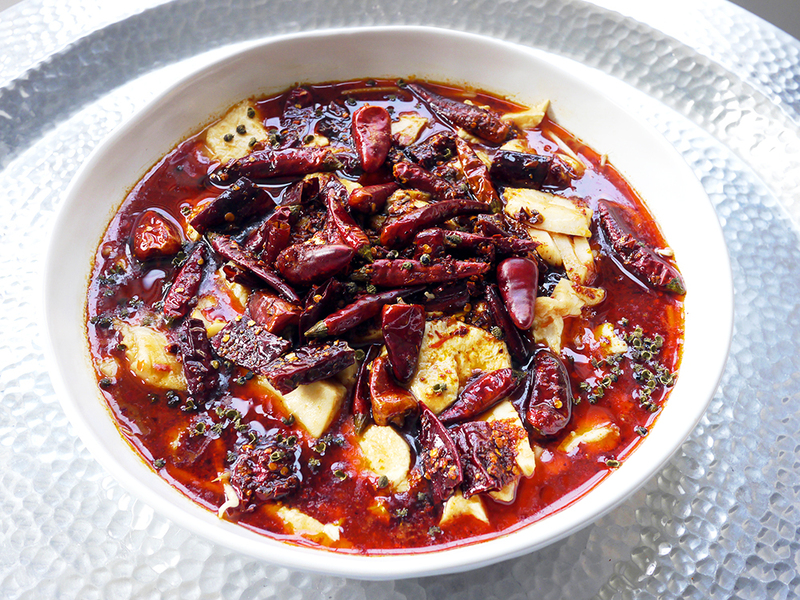 Our pantry collections are designed to help you easily create a Sichuan pantry. Our Starter and Super Mala Collections bring the numbing-and-spicy signature tastes of Sichuan food, while the Sichuan Umami Collection brings the fermented bean sauces, pickles and vinegar that add depth and funk. With the ingredients in these collections (plus a basic Chinese pantry of soy sauce and cooking wine), you can make dozens of classic Sichuan dishes. The included recipe cards will get you (or someone you'd love too cook for you) started. 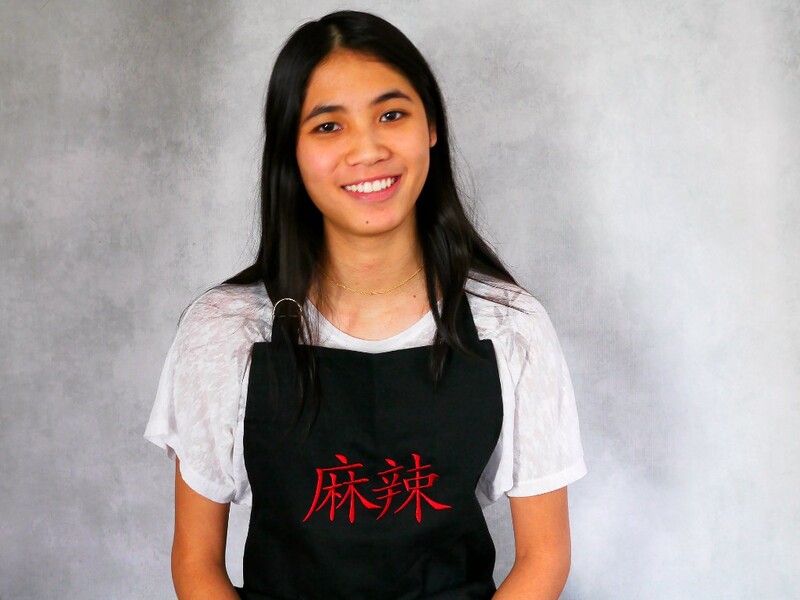 Our popular black apron embroidered with striking red characters for ma (numbing Sichuan pepper) and la (spicy chili pepper) is back in stock! Fong Chong models one here, but these heavy-cotton, fully adjustable, knee-length aprons fit most adults as well. Our latest post on the blog is a super-authentic recipe for shui zhu yu, which is misleading translated as water-boiled fish. Unlike other recipes, this one starts with a whole fish so you can use the head and bones to deepen the flavor of the numbing-and-spicy broth the fish fillets swim in. Our version also includes meltingly soft tofu alongside the meltingly tender fish, because they both love the mala treatment. We will be shipping orders as fast as we can package products. Order by 12:00 noon Dec. 20 for delivery by Dec. 24.